FORT WORTH, TX—Claiming the drain on time and resources involved in operating an airline was preventing them from pursuing their true goals as a publisher, officials at American Airlines announced Tuesday they would discontinue air service in order to concentrate on writing and editing American Way magazine. 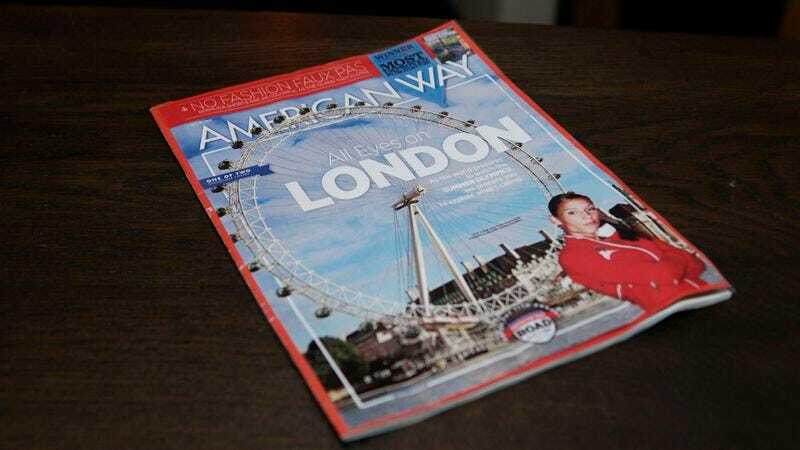 “Our first love is and always has been our travel and lifestyle magazine—in fact, distributing American Way is the reason we first got into air travel back in 1930,” said former American Airlines CEO and current American Way editor-in-chief Thomas Horton. “Sadly, the publishing industry is changing, and we can no longer afford to use the seat-back pockets of a major international airline to maintain our print circulation. It’s simply not a cost effective way to run our magazine.” The corporate refocusing is expected to be the most influential change to the travel industry since 1991, when Pan Am Airways ceased operations to concentrate on its music career.